Advance Tickets You may purchase advance tickets for Group Discount by submitting the secured online Group Discount Form located under Fan Info/Group Discount. The Day’s Chevrolet Fall Monster Truck Nationals tickets will be available to purchase online starting Aug. 1, 2019. Alcohol Dixie Speedway does not sell alcohol. Fans are permitted to bring alcohol into the Tailgate seating area. No glass bottles. Alcohol is not permitted in the grandstands. Animals Only certified guide dogs are allowed. Proper documentation is required prior to entry. ATM No ATM machines are on the property at this time. Autographs Fans will be able to meet the winner of each division directly after their feature race, at the souvenir store. Be sure to purchase a checkered flag for autographs! Bags All bags are subject to inspection. Behavior We expect all guests to behave in a family-friendly manner. Profanity and unruly behavior are offensive and may be cause for ejection without refund. Bicycle Races Dixie Speedway has Bike Races each month as an added attraction for kids K-5th grade. Groups are divided as follows K-1st grade, 2nd & 3rd grade, 4th-5th grade. All groups race 1 lap with the first 3 finishers in each age group receiving trophies. Each child must bring their bike, wear a helmet and be signed in by the parent or guardian to participate. Birthday Parties and Announcements Dixie Speedway offers Birthday Party packages to fans of all ages. View packages under Fan Info/Birthday Packages. Please submit requests for birthday announcements online no later than the Friday at 5pm. Cameras and Video Cameras are permitted but Dixie Speedway requests that all photographs or videos taken be used for personal use and enjoyment only. Any use, reuse or reproduction for commercial purposes without the express written consent of Dixie Speedway is prohibited. Children’s Tickets Children age 8 and younger are admitted free on most race nights in the Main Grandstand. Some exclusions may apply-check special event info icon on Homepage for updates. Coolers Fans are permitted to bring coolers with food and drinks. (coolers should not be over 14 inches in all directions) No alcohol or glass in Main Grandstand. Commercial Photography By entering the track, each guest grants Dixie Speedway the right to film, videotape, or photograph him/her on track property for any reason without payment or consideration. All Dixie Speedway events are protected by copyright. 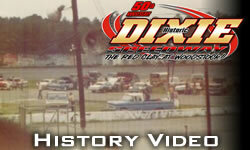 Guests must have written permission to use photographs and/or videotape of Dixie Speedway’s images for commercial broadcasting, advertising, marketing or publishing. Concessions Dixie Speedway has 4 concessions on the property. The main concession stand is located atop the Main Grandstands and carries a wide variety of food items such as- chicken finger baskets, hamburgers, hotdogs, pizza, nachos, and more… Don’t forget to try The World Famous- DIXIE CORNDOG- voted as the fan favorite year after year. The Tailgate area, Turn 4 and inside Pit concessions offer a wide variety of food as well. All concessions carry Coca Cola products and received a near 100 score from the health department. Corporate Sponsorship Dixie Speedway hosts 150,000 fans each year. Many sponsorship opportunities are available to showcase your company or product. 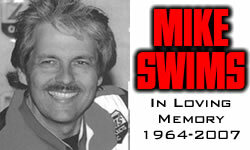 Please call the speedway office at 770-926-5315 for information. Credit Cards Dixie Speedway accepts Visa, Master Card, and Discover Card as payment for tickets at the gates, and on-line. Credit cards are accepted at the souvenir stand as well. Demolition Derby This is a contest in which drivers in old cars crash into each other until only one car is still running. Anyone can participate- View Rules located on the Homepage for details. Demonstrations– Please note that Dixie Speedway is private property. Dixie Speedway retains the right to control both who has access to the property and what activities occur on the property. Demonstrations, protests, rallies, and/or gatherings of any kind are strictly prohibited. Dixie Speedway requires that any requests for demonstrations, protests, rallies, and/or gatherings be directed to management; the decision of whether or not to permit the activity is left to the discretion of the management. Please note that if any of the aforementioned activities occur without the permission of management, Dixie Speedway retains the right to ask patrons to leave the property. Those who do not comply could be subject to arrest and prosecution. Donation Requests Dixie Speedway has been a part of this community for more than four decades. We want to be a blessing to those around us and give back in any way we can. Please submit non-cash donation request form located under Fan Info Tab/Donations. Dress Code In keeping with our family-friendly atmosphere -proper attire must be worn at all times including shirts and appropriate footwear. Clothing with rude, vulgar or offensive language or graphics is not permitted. Dixie Patio Seating This exclusive picnic area deck located atop the main grandstand in turn 4 is available for rental and features an incredible view of the racing action! Call (770-926-5315) to reserve a date. Exclusions may apply. Food Fans are permitted to bring food. But a visit to the concession stand is a MUST for the true Dixie experience! Fuel Racing fuel is only available on race night to participants. Gates All gates open at 5pm on most race nights. 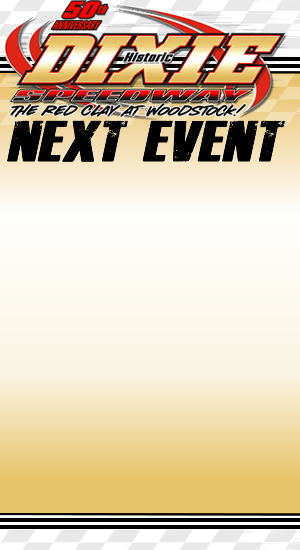 Check Special Event Info icon for updates. General Admission All tickets are general admission seating. Golf Carts /ATV/ Polaris/Gators…etc– are allowed in the Tailgate and Pit area. All 4-wheelers, golf carts, motorcycles or personal transportation vehicles must purchase a (PTP PASS) personal transportation pit pass. The PTP pass must be purchased at the pit gate at the same time you purchase your pit pass. The cost of the PTP pass is $10.00 per race event. All (PTP passes) must be displayed on the personal transportation vehicle. Anyone under the age of 16 operating a personal transportation vehicle must be accompanied by an adult. GRANDSTAND SEATING All seats are general admission. Race fans are allowed to place chairs or blankets in the main grandstand to reserve their favorite spot. As of July 11, 2015-Due to fan safety -track staff will now remove any reserved seats that are not occupied by 6:30pm. (Honor System: Track is not responsible for moved items before 6:30pm) Alcoholic beverages are not allowed in the grandstand. Group Rates Groups of 15 or more, who purchase in advance can take advantage of a special group discount. Submit secured form under Fan Info/ Group Discount. Exclusions may apply. GUEST SAFETY Dixie Speedway reserves the right to inspect all packages, purses, coolers, backpacks…etc prior to entering the gate. Sharp objects, weapons, and illegal contraband are not permitted. Media Credentials Media both regionally and nationally are welcome at Dixie Speedway. All Media credential requests will only be considered by legitimate news-gathering outlets and must be submitted by the sports director or editor two weeks prior to the event. Please submit Media Credentials Request form located under Media tab/Media Credentials for approval. Merchandise/Souvenirs The official Dixie Speedway souvenir store is located atop the main grandstand, directly inside the main grandstand entrance gate. Items carried- seat cushions, ear plugs, hats, goggles, many unique designs for everyone. Be sure to stop by and check it out-It doesn’t cost anything to look! Office Hours Dixie Speedway business offices are open from 9:00 am until 4:00 pm Monday through Friday. On race day- submit questions through website email or social media outlets such as Facebook, Twitter and Instagram. Parking There is no charge for parking. Event parking is available on a first come- first served basis. Public Address Paging Paging is not permitted except in cases that are deemed to be emergencies. Rain Checks/Rain Outs Dixie Speedway has a NO REFUND POLICY: Keep your ticket stub. In the event of rainout this will be your ticket for re-entry on rescheduled date. The rain date will be posted on the website or call the track office Monday following the rainout. Re-entry Re-entry into the gate requires a ticket stub and proper hand stamp. 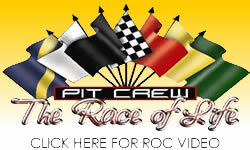 Rules Driver Rules and Regulations for all division are posted on the Homepage. Seat Cushions/Lawn chairs Seat cushions are permitted throughout the Main Grandstand. High back lawn chairs are permitted on the top 3 rows, bottom 3 rows, and all rows in Seating Section A and Section F. Please be courteous to those around you. Schedules Dixie Speedway schedules are available at the main grandstand entrance gate and area businesses. Smoking– Smoking in all spectator areas, grandstands, concession lines, souvenir, and tickets is prohibited per the Georgia Department of Heath. Designated smoking areas will be available. Spectator Racing/One lap Drags Every Saturday night fans have a chance to test their skill in one-on-one, single-lap spectator racing with the only qualifications needed: your car, helmet, and seat belt. Participants must sign in at the Pit Entrance Gate and a valid driver’s license is required. Suite Rental Located high above the Main Grandstand our VIP Suites are the best seats in the house Each unit is climate controlled and has individual audio controls. Private restrooms are located on the 2nd floor and are available for Suite guests. A food and drink package is included and additional catering options are available upon request. Each unit has a seating capacity of 10 to 15. Multiple rooms can be reserved dependent upon availability. Prices begin at $30 per person with a minimum of 10. This price is not valid for special events. Special event suite rental is based on an individual basis-please contact speedway office for pricing. Tailgate Parking A true Dixie experience! Park your car or truck along the fence, bring a grill, your favorite group of friends and you’re set for the night! Tailgating tickets along the fence in turns 1 and 2 are $20 per adult on most shows, 11 and under are $11 TIP- Bring goggles for this seating option-it can get dusty at times. Fans are allowed to bring alcohol into this area. No glass allowed. Check schedule for Special Events ticket price. Tickets All tickets are general admission. Tickets are purchased at the gate on the day of event when the gates open, 5:00pm on most shows. Advanced tickets are only available on special shows. Group rates are available for 15 or more with the exception of special shows-(Group Discount Form located under Fan Info/Group Discounts.) also- For detailed ticket options – view the Tickets icon located on the Homepage. Umbrellas Use of umbrellas is permitted at Dixie Speedway. Please be courteous to others. VIP Check In VIP tickets and Guest check in are at the Will Call window located to the right of Main Grandstand Entrance gate. Weapons No weapons of any type are allowed inside Dixie Speedway property. Wheelchair Seating Fans in wheelchairs will find seating in the wheelchair accessible areas located on the top row in section B. Fans in need of wheelchair seating should be sure to mention this when purchasing tickets so a Dixie Speedway staff member can assist with securing seats in this location. Will-Call Special guests and VIP Suite check in is at the Will Call window. Also, Group Discount tickets are to be picked up at the Will-Call window located to the right of the main grandstand entrance gate, directly behind the VIP suites.